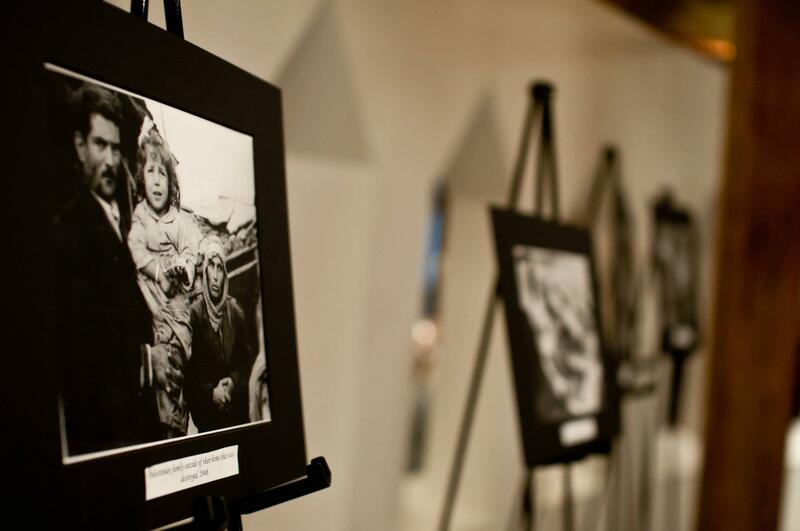 The Chicago Movement for Palestinians Rights commemorated the 64th anniversary of the Nakba with an evening "of story-telling, art displays, spoken word, music and Palestinian dabkeh." The event recollected "a pivotal moment in Palestinian history and celebrate[d] Palestinians' continued resistance to colonialism." The Nakba ("catastrophe" in Arabic) was the expulsion of many hundreds of thousands of Palestinians during the 1947-1949 wars of colonization that led to the establishment of the State of Israel. The hundreds of thousands of refugees and their descendents now number in the millions. Israel's denial of the Right of Return (the ability of refugees to return to their homes) makes the Nakba not an event that happened, but something that continues to happen. This gives added weight to the event's testimonials of Fatima Mahmoud Radwan and Hasan Kishta, survivors of the Nakba from the villages of Deir Yassin and Ijlil. The event comes on the same day as Palestinian prisoners won a historic victory against Israeli oppression, winning numerous concessions after a prolonged hunger strike by over 2,000 prisoners. The United States Palestinian Community Network organized a vigil on Monday, 14 May, in solidarity with the hunger strikers. For more video of the Nakba commemoration visit Unedited Camera's ustream archive. For more photos of the event, visit the NATO Indymedia photo gallery.